People often get stuck when it comes to copywriting. Sitting there in front of a blank page can be intimidating for new marketers, especially when it is the most essential part of the ‘money getting’ process. Push them over the fence!!! John Carlton revealed some great insider tips regarding how to motivate people to make a purchase. In this revealing interview we discussed buyer motivation and various techniques marketers use when writing sales letters. You really don’t have much happening until the sales copy gets written. Doubling conversion has the same effect as doubling traffic. If you combine them both you have an intensively profitable situation. I asked John about his thoughts on automated sales tools, long copy versus short copy, how to hire a copywriter and more. The answers may shock you. I love Johns advice to Frank Kern just prior to the worlds most successful Internet Marketing launch (Stompernet). John was able to clearly set Frank on track, solving the challenge he was having at the time. This snippet is something everyone should be aware of and is simple to apply. I wish I had know this several years ago. 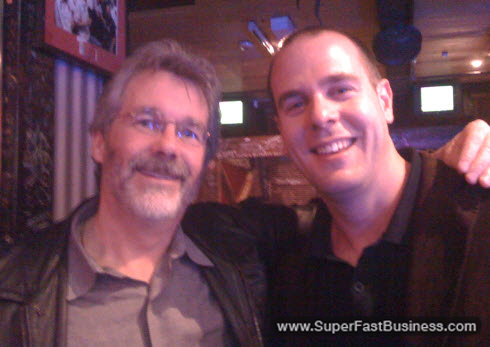 It was really great to learn what motivated John to go from ‘slacker’ to success story. His story is inspiring and he also recommends some resources you can look up. Did you know there are two things every sales letter should contain? Once you embed these into the sales process you can expect an increase in sales. ‘Lizard brain’ is one of them. This triggering of ancient mind patterns is so powerful it causes fully grown adults to move into a buying frenzy beyond their own control! In the interview you can get an insight into mistakes you really need to avoid. Once you steer clear of them your results should improve. Applying just a few of these tips can shift your mindset forever. Putting words into a codec of proven sales persuasion is one of the best ways to crank up profits in an already established website. When you combine scarcity tactics, bullet points and several other secrets John mentions, you will be in the elite category. Perhaps you will double your sales too!